Head to Amoeba Music and Montana Avenuefor some retail therapy. Relax by the water at Will Rogers State Beach and Santa Monica State Beach. 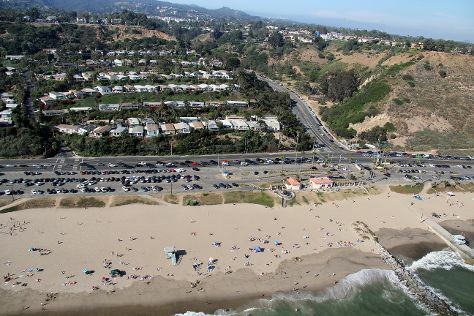 Get out of town with these interesting Los Angeles side-trips: Manhattan Beach (in Manhattan Beach) and Zuma Beach (in Malibu). And it doesn't end there: enjoy the sand and surf at Venice Beach and Boardwalk, stroll through Cabrillo Beach, wander the streets of Angelino Heights Historic Area, and explore the activities along Santa Monica Bay. To find where to stay, reviews, more things to do, and tourist information, go to the Los Angeles trip maker tool . Brisbane, Australia to Los Angeles is an approximately 16-hour flight. You can also do a combination of flight and train; or do a combination of flight and tram. Due to the time zone difference, you'll gain 18 hours traveling from Brisbane to Los Angeles. Traveling from Brisbane in June, expect Los Angeles to be somewhat warmer, temps between 30°C and 19°C. Finish your sightseeing early on the 20th (Thu) so you can travel to Las Vegas. Shop till you drop at The Strip and The Grand Canal Shoppes at The Venetian. There's still lots to do: admire the local landmark of Bellagio Fountains, try to win big at Casino at the Venetian, join in the after-dark buzz at Double Down Saloon, and admire the majestic nature at Red Rock Canyon National Conservation Area. For maps, reviews, where to stay, and tourist information, you can read our Las Vegas itinerary planner. Getting from Los Angeles to Las Vegas by flight takes about 4 hours. Other options: fly; or drive. While traveling from Los Angeles, expect much hotter days and a bit warmer nights in Las Vegas, ranging from highs of 46°C to lows of 29°C. Finish up your sightseeing early on the 24th (Mon) so you can go by car to Zion National Park. Get outdoors at The Narrows and Angel's Landing. Spend the 26th (Wed) exploring nature at Canyon Overlook Trail. There's more to do: take some stellar pictures from Observation Point and explore the stunning scenery at Zion's Main Canyon. Plan my trip to Zion National Park with suggested itineraries provided by Inspirock. Drive from Las Vegas to Zion National Park in 3 hours. Alternatively, you can do a combination of flight and taxi; or do a combination of flight and car. You'll lose 1 hour traveling from Las Vegas to Zion National Park due to the time zone difference. When traveling from Las Vegas in June, plan for slightly colder days and much colder nights in Zion National Park: temperatures range from 40°C by day to 11°C at night. Wrap up your sightseeing on the 27th (Thu) to allow time to drive to Kanab. Kanab is a city in and the county seat of Kane County, Utah, United States. Get in touch with nature at Canyon Village Marketplace and Cape Royal. You'll find plenty of places to visit near Kanab: Observation Point (in Zion National Park) and Grand Canyon National Park (Yavapai Point, Grand Canyon South Rim, & more). The adventure continues: look for all kinds of wild species at Best Friends Animal Sanctuary. To find maps, reviews, traveler tips, and more tourist information, refer to the Kanab planning website . Traveling by car from Zion National Park to Kanab takes 2 hours. In June, plan for daily highs up to 40°C, and evening lows to 11°C. Finish up your sightseeing early on the 3rd (Wed) so you can go by car to Bryce Canyon National Park. Kick off your visit on the 4th (Thu): explore the striking landscape of Peek-A-Boo Loop. For other places to visit, reviews, where to stay, and tourist information, read Bryce Canyon National Park trip builder tool . You can drive from Kanab to Bryce Canyon National Park in 2 hours. Prepare for slightly colder weather when traveling from Kanab in July: high temperatures in Bryce Canyon National Park hover around 32°C and lows are around 10°C. Finish your sightseeing early on the 4th (Thu) to allow enough time to travel to Salt Lake City. On the 5th (Fri), look for gifts at Harmons City Creek, browse the different shops at City Creek Center, and then explore the stunning scenery at Big Cottonwood Canyon. For where to stay, traveler tips, more things to do, and other tourist information, refer to the Salt Lake City online travel route builder . Traveling by combination of car and flight from Bryce Canyon National Park to Salt Lake City takes 4.5 hours. Alternatively, you can drive; or do a combination of car and bus. When traveling from Bryce Canyon National Park in July, plan for a bit warmer days in Salt Lake City, with highs around 41°C, while nights are much hotter with lows around 24°C. Wrap up your sightseeing on the 5th (Fri) early enough to travel to Moose. Moose is an unincorporated community in Teton County, Wyoming, United States, in the Jackson Hole valley. 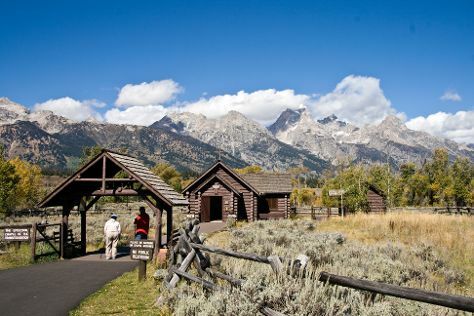 Step out of the city life by going to Grand Teton and 42-mile Scenic Loop Drive. There's lots more to do: admire the verdant scenery at Amphitheater Lake, explore the stunning scenery at Cascade Canyon, take your sightseeing to a higher altitude at Teton Point Turnout, and take in the dramatic natural features at Inspiration Point. For ratings, maps, and other tourist information, read Moose travel route builder . Use the Route module to find suitable travel options from Salt Lake City to Moose. When traveling from Salt Lake City in July, plan for a bit cooler days and much colder nights in Moose: temperatures range from 30°C by day to 7°C at night. Finish up your sightseeing early on the 9th (Tue) so you can go by car to Yellowstone National Park. Get in touch with nature at Grand Canyon of the Yellowstone and Hayden Valley. Spend the 11th (Thu) exploring nature at Yellowstone National Park. Next up on the itinerary: look for all kinds of wild species at Lamar Valley, look for gifts at Fishing Bridge General Store, tour the pleasant surroundings at Artist Point, and explore the activities along Lake Butte Overlook. 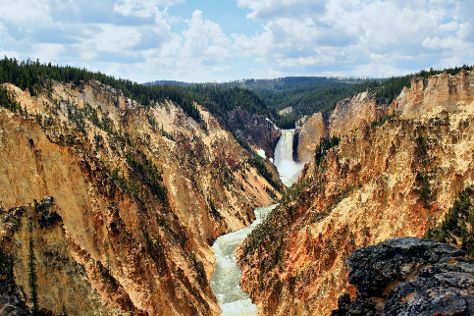 For more things to do, traveler tips, reviews, and more tourist information, read our Yellowstone National Park trip itinerary website . Traveling by car from Moose to Yellowstone National Park takes 2 hours. In July, Yellowstone National Park is a bit cooler than Moose - with highs of 26°C and lows of 4°C. Wrap up your sightseeing on the 14th (Sun) early enough to travel to Chicago. Get outdoors at Whihala Beach Co Park and Kathy Osterman Beach. The adventure continues: take a stroll through The Magnificent Mile, explore and take pictures at Millennium Park, meet the residents at Lincoln Park Zoo, and admire the masterpieces at The Art Institute of Chicago. For maps, more things to do, and tourist information, you can read our Chicago sightseeing planning app . Do a combination of car and flight from Yellowstone National Park to Chicago in 7 hours. Alternatively, you can do a combination of bus, shuttle, and flight; or drive. Traveling from Yellowstone National Park to Chicago, you'll lose 1 hour due to the time zone difference. Traveling from Yellowstone National Park in July, expect nights in Chicago to be much hotter, around 22°C, while days are somewhat warmer, around 33°C. Finish up your sightseeing early on the 17th (Wed) so you can travel to New York City. Start off your visit on the 18th (Thu): don't miss a visit to Times Square and then go for a walk through Central Park. Keep things going the next day: wander the streets of Fifth Avenue, stop by Kee's Chocolates, and then shop like a local with Shopping Girlfriend NYC. To find more things to do, maps, traveler tips, and more tourist information, go to the New York City route builder tool . Do a combination of flight and bus from Chicago to New York City in 5 hours. Alternatively, you can fly; or drive. Traveling from Chicago to New York City, you'll lose 1 hour due to the time zone difference. In July in New York City, expect temperatures between 35°C during the day and 26°C at night. You'll have a few hours on the 20th (Sat) to wrap things up before traveling home.